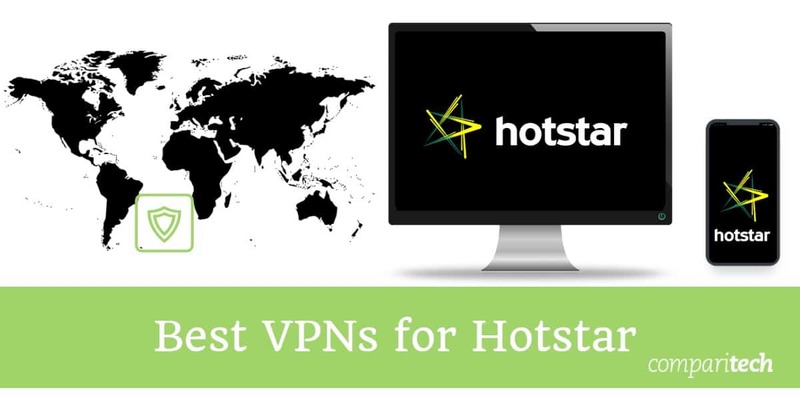 We take a look at the best VPNs for Hotstar and walk you through a step-by-step guide on how to watch Hotstar abroad with a VPN. Indian streaming media platform Hotstar first launched in February 2015 with a focus on broadcasting cricket matches. However, it has rapidly grown its roster of content, which now includes movies, television shows, sports, and music. Hotstar’s popularity has risen to considerable heights in India, especially with the streaming of the Indian Premier League. Unfortunately, the service is geo-restricted with a varying library of content depending on your country. The largest library is reserved for those with an Indian IP address. If you’re traveling abroad and want to access Hotstar in the United States, Canada, Europe, the United Kingdom, Australia, or elsewhere, your best bet is to sign up for a Virtual Private Network (VPN) first. However, not all VPNs will work with Hotstar. 1. Download and install a VPN that works with Hotstar. ExpressVPN is the most reliable option. 2. Open your VPN and pick a server in India. 3. Clear your browser cache and cookies to remove location information from previous sessions. 4. Open Hotstar and stream your favorite content from any country in the world. ExpressVPN Our top choice. ExpressVPN is a veteran when it comes to unblocking geo-blocked content like Hotstar. Doesn’t skimp on security or speed. Includes 30 day money-back guarantee. NordVPN Huge global network of servers including many in India that can unblock Hotstar. Decent speeds and strong security. CyberGhost Budget-friendly option with fast servers in India so you can easily unblock Hotstar from abroad. IPVanish Fast enough to stream Hotstar from abroad in high quality, plus strong security and a no-logs policy. PrivateVPN Small provider with a few servers in India that can access Hotstar from anywhere. A VPN functions by routing all the traffic flowing to and from your device via an encrypted tunnel. Most paid VPN providers offer a wide variety of server locations to choose from; it’s up to you to decide which server the traffic will be routed through. If you select a server in India, the Hotstar website and mobile app will assume you’re geographically located there and grant you access to premium content. Using a VPN also makes it very difficult for your internet service provider (ISP), hackers, government surveillance agencies, and others to monitor your digital footprint. What is the best VPN for Hotstar? ExpressVPN ranks highly because of its choice of military-grade encryption standards and ability to unblock geo-restricted content. The service is speedy, reliable, and has minimal downtime. The company operates more than 1,500 servers spread across 94 countries. There are three locations in India so users shouldn’t face any problems when trying to unblock Hotstar. This service uses 256-bit AES-CBC as its default encryption protocol, along with HMAC authentication and perfect forward secrecy. It’s fair to say that the standards are ironclad. An internet kill switch is included, which the company refers to as a ‘network lock.’ This feature will temporarily halt all web traffic if the connection drops. ExpressVPN offers apps for both Android and iOS, as well as a desktop client for Windows and MacOS. One paid account allows for three simultaneous connections. BEST VPN FOR HOTSTAR:ExpressVPN is our #1 Choice. Optimized for high-speed connections. Scores high above its rivals for unblocking Hotstar and other streaming sites. Hard to beat on privacy and security. There is a 30-day no-quibbles money-back guarantee so you can try it risk-free. NordVPN is a veteran in the VPN business as it’s been around for well over a decade. The service enables users to select a server based on how they’d like to use it: streaming video, secure privacy, or anti-DDoS. The NordVPN network comprises more than 4,300 servers spread across 61 countries, including 12 servers in India. Globally-minded users will be pleased that the server list has been expanding in recent months; a sign that the company is constantly improving the product offering. NordVPN uses 256-bit AES encryption by default, coupled with 2,048-bit SSL keys. DNS leak protection is enabled and a kill switch is built in. The service adheres to a zero-logs policy which means there’s no storage of user data at all. Apps are available for both Android and iOS and there are desktop clients for Windows and MacOS. A single paid account allows for six simultaneous connections which is more than the industry standard of five. BEST BUDGET VPN:NordVPN is a great value choice. A good all-rounder that also works well with Hotstar. Strong security features and accommodates up to 6 devices. Includes 30-day money back guarantee. CyberGhost ships with a variety of nifty features including anti-tracking and ad-blocking. It’s also relatively inexpensive and won’t break the bank—appealing to users on a budget. The service is fast and incorporates military-grade encryption parameters. At the moment CyberGhost offers 1,298 servers across 59 countries. India is included in the list with a total of 19 servers. We’ve seen the range of servers and countries expand considerably in recent months with no signs of slowing down. CyberGhost uses 256-bit AES encryption on the OpenVPN protocol by default, along with 2,048-bit RSA keys and MD5 HMAC authentication. An internet kill switch is included too, which will keep your connection secure even if the link to a server drops for some reason. Another reassuring factor is that CyberGhost adheres to an internal policy of not storing any user logs. Apps are available for both Android and iOS and there are desktop clients for Windows and MacOS. A premium subscription grants access to five devices on a single plan. BEGINNERS' CHOICE:CyberGhost has a simple set up. Works well with Hotstar. Good option if you are looking for a fast, reliable connection and an easy-to-use interface. Can struggle with unblocking some other popular streaming sites. 45-day money back guarantee. IPVanish is a favorite for users who want blazing speeds coupled with stringent privacy measures and strong encryption. In our user review, the service performed admirably when subjected to HD video streaming. That makes it a solid choice to access Hotstar. IPVanish offers a comprehensive global network of servers with more than 1,000 options spread across 60+ countries. Eight servers are located in India and there are many other options within Asia. Encryption standards are robust. IPVanish deploys 256-bit encryption on the OpenVPN protocol by default, SHA512 authentication, and a DHE-RSA 2,048-bit key exchange with perfect forward secrecy. The latter keeps past browsing sessions safely out of reach of any intrusive entities, even in the case of a successful breach. IPVanish is a completely logless service — there’s no storage of metadata related to timestamps, server preferences, or other user behavior. Many users find IPVanish an excellent option for Kodi because it enables them to download the Android APK directly to their device. The interface is remote control-friendly for Kodi devices that lack a keyboard and mouse. Apps are available for both iOS and Android and there are desktop clients for Windows and MacOS. One paid account allows for five simultaneous connections. UP TO 10 DEVICES:IPVanish is great for families and multiple connections. Easy to use with Hotstar and preferred by users who need high standards of privacy and security. Can’t unblock as many other streaming services as some of its rivals. 7-day money-back guarantee. PrivateVPN has a smaller network of servers than others on this list, but it compensates for this relative disadvantage by delivering incredible speeds. Servers in India are included so users looking to access Hotstar won’t be disappointed. In our user review, PrivateVPN streamed 1080p video flawlessly when tested across three different server locations. Online games were similarly quick so it’s clear the service checks all the boxes when it comes to a seamless experience. PrivateVPN uses strong encryption protocols (128-bit or 256-bit depending on your choice of protocol) as well as perfect forward secrecy. A kill switch and DNS leak protection are included and no logs are maintained. A basic plan allows for five simultaneous connections. There are apps for Windows, MacOS, iOS, and Android. GREAT SPEED:PrivateVPN is a good family choice. Unblocks Hotstar. Also good for secure and private browsing and torrenting. Could do with having more servers and lacks 24/7 support. 30-day money back guarantee. VyprVPN is one of the few VPN services that is able to circumvent China’s Great Firewall—testament to the superior engineering at play. It’s great at bypassing restrictions in general, which is why it occupies a place on our list. VyprVPN offers a global server network encompassing over 700 locations, including options in India. All connections are protected by 256-bit AES encryption, 2,048-bit RSA keys without perfect forward secrecy, and SHA256 authentication. An internet kill switch is included by default. Users can avail the proprietary Chameleon™ protocol for an additional fee — this will further scramble your connection, making it almost impossible for your ISP or surveillance agencies to monitor web activity. This provider does have a bit of a data retention policy. Specifically, it will store “the user’s source IP address, the VyprVPN IP address used by the user, connection start and stop time, and total number of bytes used.” The data is deleted after 30 days but this still may be a problem for some users. A basic VyprVPN plan allows for five simultaneous connections. Apps are available for both Android and iOS and there are desktop clients available for Windows and MacOS. SOLID PERFORMER:VyprVPN is user friendly. Works well with Hotstar and some other popular streaming services. Good on privacy and security but a bit pricey. 30-day money-back guarantee. Should I use a free VPN to access Hotstar? Free VPN offerings are widely available and the no-cost factor is very tempting. But that’s usually where the allure finishes. The basic premise of paying for a VPN is to ensure you get access to servers optimized for speed, security, and reliability. Free VPNs skimp on this aspect; they’ll offer you a choice of one or two server locations, and regularly subject you to bandwidth throttling and data caps. Expect poor encryption standards that don’t do much to protect your privacy online. And, in some cases, you run the real risk of having your data pilfered and sold to third-party advertisers. At Comparitech, we don’t recommend using a free VPN to access Hotstar because you’ll receive a fraction of the experience that a paid VPN service offers. How do I access Hotstar with a VPN? The local (read: Indian) version of Hotstar incorporates a freemium model. Some of the older content, including some television shows and movies, is free to stream. However, users will have to fork out a fee if they wish to view live sports and the latest blockbusters. If you try to log in from a different country such as Canada (screenshot below), you’ll be prompted to redirect to a local version of the site. Here, you may be able to access some of the content for free, but this likely won’t include sports or American television shows. Residents in North America wishing to sign up for Hotstar can avail the packages on offer as they can sign up with a US or Canadian credit card. If you’re looking to access the Indian version, you’ll need a credit card with an Indian billing address, or a PayTM wallet, which is only available for residents in India. The use of a VPN opens up a plethora of options and use cases. This article is meant to showcase how you can spoof your location to access Hotstar, but a VPN can also reliably unblock Netflix, Hulu, BBC iPlayer, ESPN, and more. A VPN can also be used to blog online safely, access public wifi, and indulge in torrenting. 2 What is the best VPN for Hotstar? 15 Should I use a free VPN to access Hotstar? 16 How do I access Hotstar with a VPN? 17 What else can I do with a VPN? 9 Should I use a free VPN to access Hotstar? 10 How do I access Hotstar with a VPN? 11 What else can I do with a VPN?